Fun with marketing…no matter how boring the product. Recently, while leading a workshop about Effective Presentation Techniques, I shared a secret with the attendees: people like to be entertained. So if you bring fun and joy to whatever you’re selling, you’ll get their attention…and that’s the first step toward ensuring they receive your message. Oh young grasshopper…take heart. With the right perspective, you can make ANYTHING fun. I give you…Jewish food, a Vietnamese restaurant, and men’s razors. 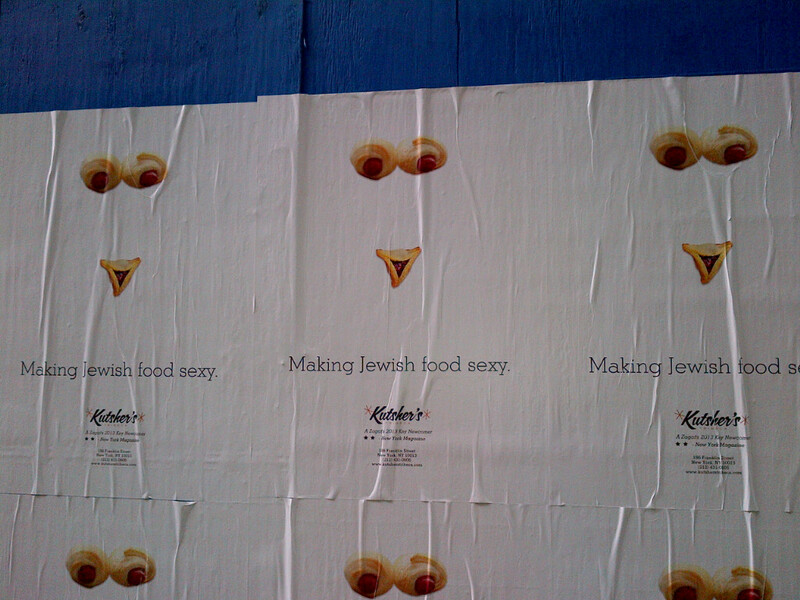 Artful arrangement of Jewish food draws a double-take from passersby on the Upper West Side of NYC. 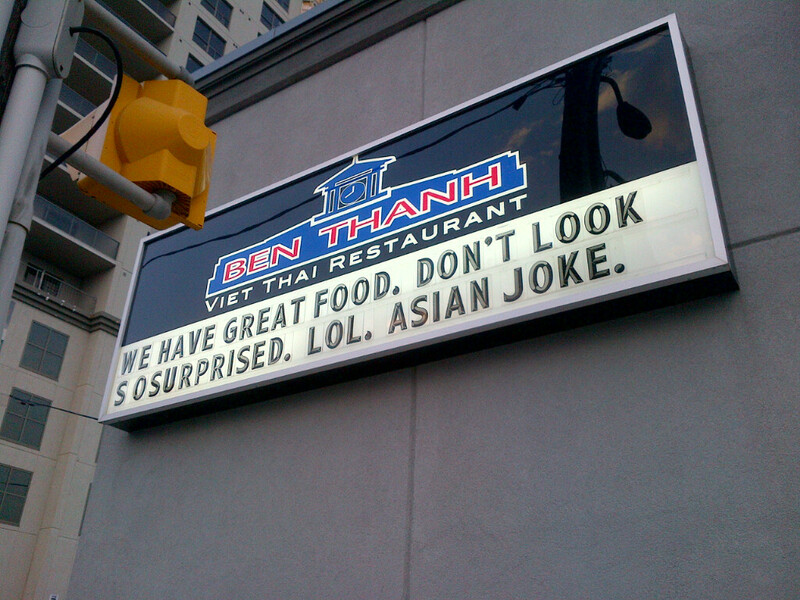 A Viet-Thai restaurant in Canada draws new patrons with this sassy sign outside their front door. And seriously…take 1 minute and 30 seconds and watch this commercial for Dollar Shave Club. Who knew selling razors could be so entertaining? The bottom line is…with the right perspective, you can bring a little bit of humor to any subject – appropriately, of course. Would I recommend adding levity to a speech or ad about child abuse? Absolutely not. But an otherwise dry subject – like razor blades? Heck yes!…it’s a fabulous competitive advantage when you can make people smile.